The Mitsubishi GC-PHEV concept hints at the next-gen Montero. LOS ANGELES -- Mitsubishi Motors Corp. announced in July that it plans to sell or shutter its assembly plant in Normal, Ill. The announcement called into question whether Mitsubishi, which has focused on fleshing out a thin lineup and imbuing its vehicles with a consistent style, is committed to the U.S. for the long haul. Mirage: Mitsubishi's subcompact hatchback is scheduled to get a face-lift for the 2017 model year. Production of the freshened Mirage is to begin in Thailand at the end of 2015, with the first cars arriving in U.S. showrooms in March. Mirage G4: A sedan version of the Mirage, sold as the Attrage in some countries but dubbed the Mirage G4 for the U.S., is to follow in April. It will share the hatchback's 1.2-liter three-cylinder engine, but offer richer content at a higher price. Lancer: A freshened version of Mitsubishi's compact sedan is to arrive in U.S. showrooms in December with a new front-end appearance. That doesn't change the fact that the Lancer was last redesigned in 2007. Mitsubishi is working on a successor, but the company thinks the vehicle's sales would be insufficient to justify production. Mitsubishi was also talking with Renault about importing a rebadged version of the Renault Fluence sedan from the Renault Samsung Motors factory in South Korea. Those talks ended because shifting exchange rates killed the business case. Mitsu-bishi is now in talks with a second, as-yet undisclosed automaker. If those negotiations fail, Mitsubishi could still produce a next-generation Lancer itself. Lancer Evolution: Production of the high-performance Lancer Evolution will conclude at the end of 2015. Mitsubishi says it's working on a successor to the Evo that would ride on the Outlander Sport's platform and use a plug-in hybrid powertrain, but it's unclear wheth-er the project has been approved for production and whether sales would be sufficient to justify getting an Evo heir certified for U.S. sale. Midsize sedan: In its negotiations with Renault about a compact car, Mitsubishi also inquired about rebadging the Renault Latitude midsize sedan to fill the hole in its U.S. lineup left by the 2012 discontinuation of the Galant. But because of low profit margins and rampant incentive spending in the segment, Mitsubishi ended its search for a midsize sedan when it halted talks with Renault. The Outlander is re-engineered for 2016. Outlander: A re-engineered 2016 Outlander went on sale in July. It sports a new Dynamic Shield grille, a new continuously variable transmission, a retuned suspension and more premium interior materials. Outlander PHEV: After several delays, a plug-in hybrid version of the Outlander is scheduled to go on sale in the U.S. in May. Powered by a gasoline engine and a pair of electric motors, the all-wheel-drive Outlander PHEV is billed as traveling more than 30 miles on a charge in EV mode. It has some noticeable trim differences from the gasoline-fueled Outlander, including a unique dashboard and instrument cluster. Outlander Sport: Mitsubishi is scheduled to give the Outlander Sport a face-lift in November for the 2016 model year, with the new model built in Japan rather than in Illinois. Like the three-row Outlander, the two-row Outlander Sport will get new front and rear fascias and a plusher interior. 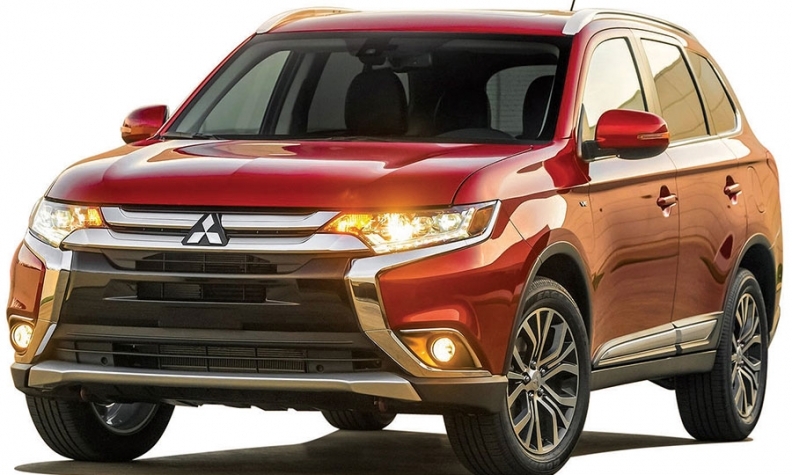 Mitsubishi is planning a global debut in 2016 for the next-generation Outlander Sport, which is sold as the RVR in Japan and as the ASX in most other world markets. A plug-in hybrid version would follow in 2017. It is unclear when these models would arrive in U.S. showrooms. 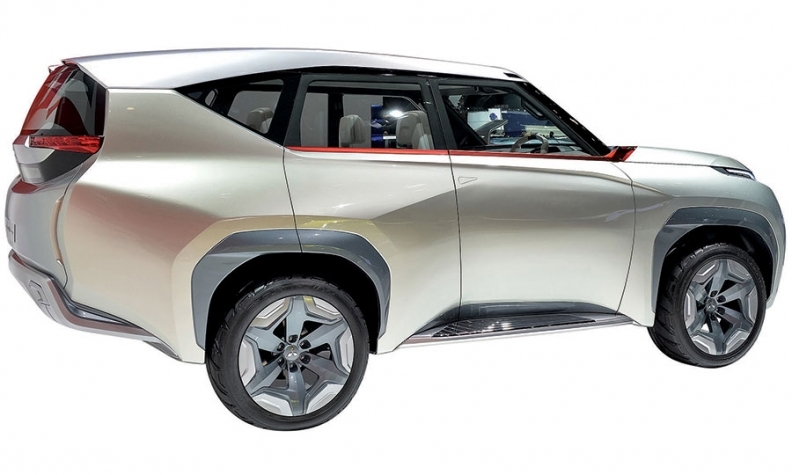 Montero: Mitsubishi showed the GC-PHEV concept at the 2014 Geneva auto show and 2015 Chicago Auto Show as a glimpse at the next-generation Montero. It is to go on sale in 2018 with a choice of plug-in hybrid and gasoline powertrains. U.S. executives want to bring back the rugged SUV, which was pulled from the U.S. in 2006, but its platform would need to be widened to satisfy U.S. rollover standards, at a cost of about $50 million. Considering the costs and the Montero's rich heritage, this decision will be a key test of Mitsubishi's commitment to the U.S.
i-MiEV: Mitsubishi sold a paltry 196 units of its egg-shaped electric vehicle in the U.S. in 2014, down from 1,029 a year earlier. But the company isn't giving up on the i-MiEV yet; it's offering a 2016 model after skipping the 2015 model year. The future of the electric minicar is unclear, but it isn't a very high priority.